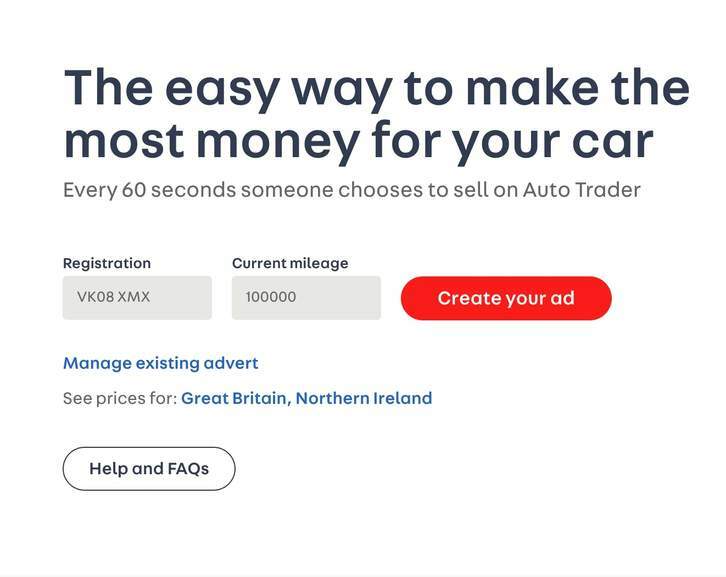 If you are looking to buy a second hand car and want to do some basic checks if the car is an insurance write off and not have to pay approximately £10 to £24 for a HPI check, then it's possible to use the Auto Trader desktop site to check this for free. Full credit to @J4GG4 for the original thread and info, just a reminder in case you need to use this at some point. Also potentially saves you a trip to see a second hand car that is a write off. See below info and instructions. Step 4: You should now be on a page displaying the car details (including tax bracket), click on next step at the bottom, may be prompted for Captcha. 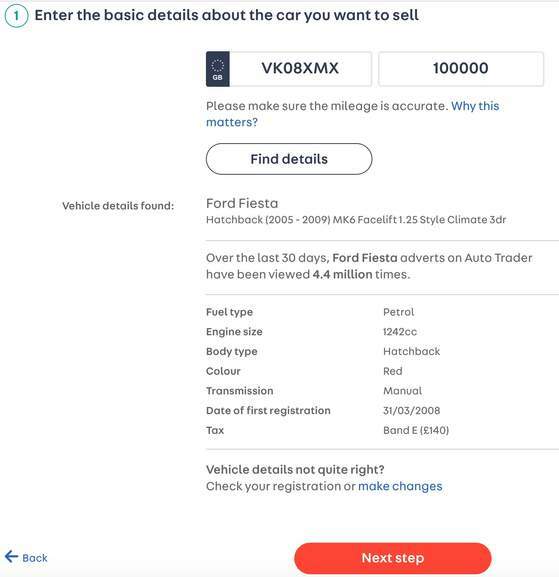 As an example if you go through steps 1 to 5 and use registration details VK08 XMX and 100,000 miles you should see it comes back as Category N, non structural damage. 1. What are the categories of insurance write off? Up to 1 October 2017, the four categories used to be A,B,C,D. The categories are now A, B, S and N, see below definitions. For cars so badly damaged they should be crushed and never re-appear on the road. Even salvageable parts must be destroyed. Body shell should be crushed. Signifies extensive damage, although some parts are salvageable. Should never re-appear on road, although reclaimed parts can be used in other road-going vehicles. Category S means the vehicle has suffered structural damage.This could include a bent or twisted chassis, or a crumple zone that has collapsed in a crash.Category S damage is more than just cosmetic, therefore, and the vehicle will need to be professionally repaired. Also, it won’t be safe to drive until then. Vehicles graded accordingly haven’t sustained structural damage, so the issue may be cosmetic, or a problem with the electrics that isn’t economical to repair. Don’t assume such vehicles are drivable, however; non-structural faults may include brakes, steering or other safety-related parts. 2. Does the Auto Trader tool replace the need for a HPI check? The Auto Trader tool is more of a quick check to see if any issues with a potential second hand car (they pull their info from Experian). It saves you initially investing in a full HPI check and may save you time visiting to see a car that would otherwise be unsuitable (write off). However it does not tell you other things such as if the car had finance. Obviously if you want peace of mind can subsequently do a full HPI check. Sites such as HPI undertake a full HPI check. 3. Are there any other useful tools/tips that I could use to help check a second hand car? Always check the full log book before you buy, category N wont show on the log book but Category S (formerly category C) will be recorded on the log book. Good point. People can stupidly buy a second hand car not realising there …Good point. People can stupidly buy a second hand car not realising there is still finance outstanding on it. No, people can still fraudulently sell a car with outstanding finance on it. When you buy something, not everyone expects the worst. Unfortunately that is what they have to do but faith in humanity sometimes stretches too far. This shouldn't be used instead of an HPI check. It even says that in the speel. This is a check to see if it's been crashed not to see if there's any finance outstanding on it. Great tip this, used to be able to do similar check on ebay (even showed number of owners!) by creating a draft listing for the car you were interested in. easier than going on VOSA website. Even used this today. Use for basic test and when ready to purchase car, do the proper one. 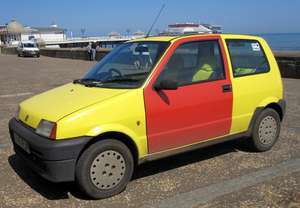 That car looks like Simon's car from the inbetweeners, post visit to the theme park. This shouldn't be used instead of an HPI check. It even says that in the …This shouldn't be used instead of an HPI check. It even says that in the speel.This is a check to see if it's been crashed not to see if there's any finance outstanding on it. Good point. People can stupidly buy a second hand car not realising there is still finance outstanding on it. No people can still fraudulently sell a car with outstanding finance on …No people can still fraudulently sell a car with outstanding finance on it. When you buy something, not everyone expects the worst. Unfortunately that is what they have to do but faith in humanity sometimes stretches too far. If you use the proper HPI system it will show if there is outstanding finance before you buy it. That way you don't get stung. Hmm, just tried it with my own car, price box is blank, wants me to type my own price in, so no indication of value for me. If you use the proper HPI system it will show if there is outstanding …If you use the proper HPI system it will show if there is outstanding finance before you buy it. That way you don't get stung. The point I was making is that in an ideal word. People should not be trying to sell a car with a hidden history. Not everyone automatically thinks people are out to con them. Most people are used to the old way of classifying cars .... Cat C was really bad, and Cat D wasn’t as bad..... Now replaced by Cat N and Cat S.
The point I was making is that in an ideal word. People should not be …The point I was making is that in an ideal word. People should not be trying to sell a car with a hidden history. Not everyone automatically thinks people are out to con them. I understand there are lots of ignorant people out there, but people should try and use common sense and realise it's a cruel world out there. How many people haven't had scamming phishing calls? I remember they sold it on ebay auction for charity! I've also found that if you go to a main car dealer and tell them you're looking at another car that's being sold from an independent garage or a private buyer, they sometimes do a HPI check on the other car to try and "big up" their car. Hmm, just tried it with my own car, price box is blank, wants me to type …Hmm, just tried it with my own car, price box is blank, wants me to type my own price in, so no indication of value for me. Something a bit odd with the all the returning data!!! Put one of ours in and got this little ditty back!!! They wish this many people had looked more like!!! Old Cat D means the cost to repair is less than the market value, but it's still uneconomical to repair. 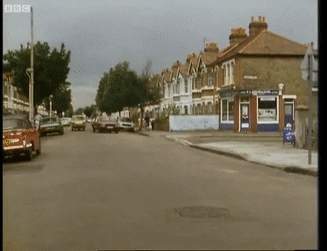 It may still be uneconomic (for the insurer) as the estimated repair cost could increase once work starts, the repair may take longer and cost more if the owner is not satisfied with the quality of the repair and the insurer may need to provide a courtesy car while the repair is carried out. 20 year old Fiesta keyed on all panels. Cost to repair greater than market value. Cat C.
20 year old Fiesta bumper scuff. Cost to repair £200. Likely Cat D.
Both the above examples would be Cat N under the new categories. In short, a Cat C/D car may or may not have sustained structural damage. Avoid Cat C/D/N if you don't know what you're looking for when it comes to quality of repairs. Avoid Cat S full stop, unless perhaps it's for a very cheap trackday car and the safety of the occupants is not too important. no need anyone that`s anyone leases their car and replace every 6 months. That's weird, I thought they gave it away on the Fwiends reunited Christmas special they did a couple of months ago. Fiat Cinquecento. Plenty of them in Poland but only saw one in UK. I just checked a car that I was considering to buy using this method and it came back as Category D.
the owner said it's just a broken back window frame and glass that he replaced. is this car a bad choice because of Category D? its a 2013 Toyota Aygo Auto with low mileage around 30,000 and otherwise very clean and tidy.and he wants 3.5 grand for it. HPI Checks. Because the freedom of information doesn't apply when there's money to be scammed out of people. I just checked a car that I was considering to buy using this method and …I just checked a car that I was considering to buy using this method and it came back as Category D.the owner said it's just a broken back window frame and glass that he replaced.is this car a bad choice because of Category D?its a 2013 Toyota Aygo Auto with low mileage around 30,000 and otherwise very clean and tidy.and he wants 3.5 grand for it.any advice is appreciated! Was the owner open about the fact that it was category D or did you have to bring this up . Personally if someone tries to hide it I would wonder what else is going on . Walk away , but if you insist then at least have a decent look through the MOT history of the vehicle looking for any mileage discrepancies or discrepancies in MOT centres used . As for the repair they claim it was , have they got invoices for the repair work carried out , has it been carried out at a reputable place . And to me that does not sound credible . I understand that a rear window with the heater element is an expensive part but its not exactly an inordinate amount of labour to replace also if it was just a window it would most likely be recorded as N because this is the category for damage an insurance company wont fix but that aren't structural to the frame/chassis. This is one of the problems IMO with the write off system , as well as recording what category the write off is some brief details about what the actual damage is should be recorded . Nothing new this.....auto-trader site been like this for ages,basically when you sell your car it will add insurance category to the text if car is on hpi register ie: cat s or n......i fix write-offs for a living and declare them when selling anyway but is good to avoid paying full retail for a listed car if seller does not declare it or you simply don't want a categorised motor........regardless if repaired correctly they offer best value for you money which is a fact. Remove the boot floor and look to see if the metal ripples anywhere, if so walk away. Sounds like it's been rear ended and the chassis is damaged. he bought it off an auction and the car’s back windows and frame were damaged in an accident. Was the owner open about the fact that it was category D or did you have …Was the owner open about the fact that it was category D or did you have to bring this up . Personally if someone tries to hide it I would wonder what else is going on . Walk away , but if you insist then at least have a decent look through the MOT history of the vehicle looking for any mileage discrepancies or discrepancies in MOT centres used . As for the repair they claim it was , have they got invoices for the repair work carried out , has it been carried out at a reputable place . And to me that does not sound credible . I understand that a rear window with the heater element is an expensive part but its not exactly an inordinate amount of labour to replace also if it was just a window it would most likely be recorded as N because this is the category for damage an insurance company wont fix but that aren't structural to the frame/chassis. This is one of the problems IMO with the write off system , as well as recording what category the write off is some brief details about what the actual damage is should be recorded .